Samsung has released the Gear S3 and the Gear S3 Classic (the latter just became available at AT&T retail stores in the States), but the Korean giant's work in the mobile industry, along with rival Apple, seems to attract its share of imitators. That is the case with Huawei, who has released two new Android Wear smartwatches called the "Watch 2" and "Watch 2 Classic." The Watch 2, the more ruggedized and inexpensive of the two (priced at $299.99) has already landed in the US, but Watch 2 Classic fans have had to wait until now. The Huawei Watch 2 Classic has now been released from Huawei for US buyers, coming in at a price tag of $369.99 - $70 over the regular or "sport" Huawei Watch 2. The Watch 2 Classic takes after Huawei's rival, Samsung, in that Huawei decided it would be the more formal and elegant of the two smartwatches. Samsung did the same thing in 2015 when it announced the Gear S2 and the Gear S2 Classic. Huawei decided to take the "Classic" moniker from Samsung and the "Watch 2" label from Apple to market the device by its sheer name alone. The Huawei Watch 2 Classic follows the same specs and features as its non-Classic sibling: a 1.2-inch, circular display with a 390 x 390p screen resolution, built-in GPS, heart rate sensor, NFC, 4GB of internal storage, and a 420mAh battery (40mAh more than Samsung's Gear S3 Frontier and Gear S3 Classic) running Google's new Android Wear 2.0. 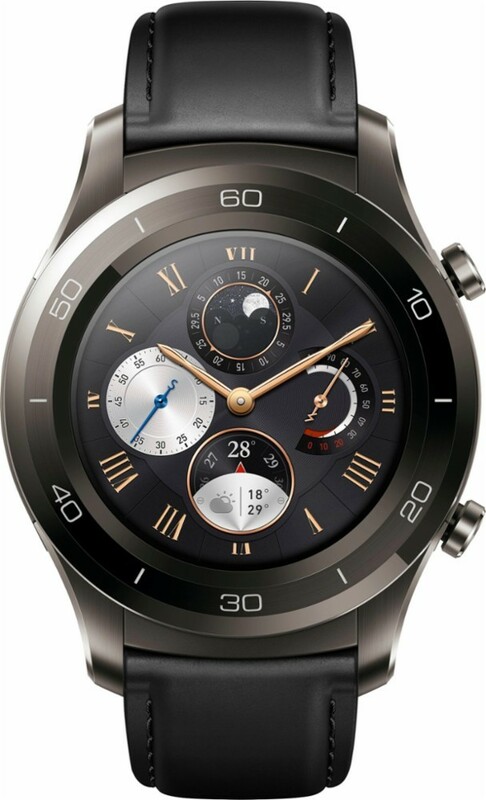 The Huawei Watch 2 and Huawei Watch 2 Classic both lack LTE, though, but rumors pointing to a Huawei Watch with LTE connectivity are true: Huawei has said it will release a Watch 2 LTE model at some point in the near future. Unfortunately for Huawei, Samsung's Gear S3 Frontier features LTE, and the Korean giant has now released the Gear S3 Classic LTE model for elegant connectivity. You can buy the Huawei Watch 2 Classic at Amazon, Best Buy, or Newegg. For what could be a limited time only, Huawei Watch 2 Classic buyers are getting 10 free weeks of Google Play Music access. The Huawei Watch 2 and Huawei Watch 2 Classic showcase Huawei's prowess in Android Wear once again, as Huawei has had its share of admirers with the first-gen. Watch and its female smartwatch collections (Watch Jewel and Watch Elegant). And yet, if the price isn't off-putting, perhaps Huawei CEO Eric Xu Zhijun's statement that he doesn't know what smartwatches are for and that they're a pointless product is. If Huawei's CEO doesn't know what smartwatches are for (they have a purpose, he just doesn't know what it is) and his company is still making them anyway, is this not a case of pointless sales for the purpose of making pointless profit? Sounds like the Gear S3 Frontier and Gear S3 Classic, from a company with goals and direction for the wearables market, are the better smartwatch choices after all.